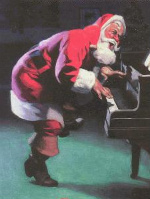 Retro Crimbo 2013/ Playlist: Listen, my yule dudes! In the words of Moby Grape… listen, my friends! Yes, it’s the (hopefully) monthly playlist presented by George’s Journal just for you good people.